Vaping is still a new activity, still a new technology, though some of the initial buzz and hubbub has worn off. However, now that the technology has been with us for a few years and vaping companies have been able to perfect their products and juices, new studies are showing that vaping is actually a far healthier alternative to smoking cigarettes. We always felt this was the case, now we know it’s the case. According to the Surgeon General and any doctor you ask, cigarettes are the number one cause of cancer in the U.S. Vape on the other hand? Not so much. Vaping gives people a chance to still enjoy the habit and the experience of smoking, but without the negative connotations. Vaping offers similar rewards physically and psychologically, but without the terrible smoke and carcinogenic effect that smoking cigarettes entail. Trading cigarettes for vaping is not a full disconnect from smoking. There is still nicotine involved, and the habit of “puff, puff, drag” is still there. So, vaping is labeled as “Harm Minimization.” Harm minimization is defined as an approach to fixing something that doesn’t fully fix it, but which rather severely reduces the inherent risk of it. An overweight person who simply starts to eat better but doesn’t also exercise could be said to be engaging in harm minimization. Harm minimization recognizes that demanding absolute perfection from a smoker is not likely feasible. Vaping presents a safe and effective avenue where a person can still get the enjoyable effects of smoking but without the negative effects alongside it. It is a good bargain. Smoking prematurely kills over half of lifetime users of cigarettes, so anything that reduces this extensive harm is seen as beneficial. In fact, studies show that if most current smokers switched from cigarettes to vaping over the next ten years, there could be as many as six and a half-million fewer premature deaths and almost eighty-seven million fewer life years lost. Every time a person smokes a cigarette, they take eleven minutes off their lifespan, and that adds up. Vaping does not have the same effect. Is vaping bad for you? No. When people smoke cigarettes, they consume nicotine yes, (nicotine is also in vape juice) but they also consume carbon monoxide and about seventy known cancer-causing chemicals (chemicals not found in vaporizers). Contrary to what some might think, nicotine is not the problem here, it is all the other carcinogens in cigarettes. It’s the smoke inhaled which is the culprit in tobacco-related disease and premature death. In July of 2017, the Food and Drug Administration officially recognized e-cigarettes as a harm reduction approach to tobacco. The FDA recognized vaping and e-cigarettes as being a viable alternative for people who wanted to smoke cigarettes, but who didn’t want all of the negative health effects of such an activity. A professor and lead author of “The Annual Review of Public Health” at the New York University’s College of Global Public Health spoke strongly in favor of vaping as an alternative to smoking. According to him, vaping has the potential to disrupt a one-hundred and twenty-year dominance that the tobacco industry has had on nicotine use. 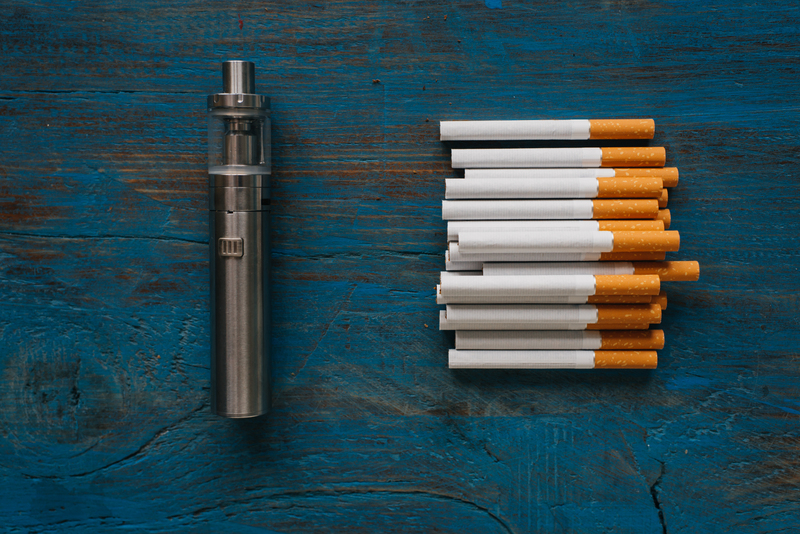 The inception of vaping could force tobacco giants to innovate healthier ways to consume their products, and we would all be better off for it if they did. Vaping presents an ideal situation wherein consumers still have a hobby. They still have an activity that they can enjoy and get excited about. If anything, vaping presents more options and more customization than smoking does. However, instead of poisoning their bodies on a regular basis with cigarette smoke, vapers can enjoy their pastime and their habit without the negative and carcinogenic side effects that come with smoking cigarettes. One way to make vaping the healthiest it can be is to use organic vape juice from Organic Vape. Concerned about harmful chemicals or unnatural substances in your e-liquid? Pick your flavors and juices from Organic Vape to ensure you are getting quality products that do not have unnatural chemicals in them.